As much as I love a bargain … i’m also a huge Disney fan! 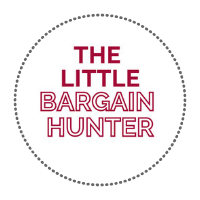 As well as The Little Bargain Hunter, I also share Disney bargains and new Disney items over on facebook at The Little Disney Bargain Hunter. Here you can shop the Disney items I share – just click on the image and it will take you to where you can get it!